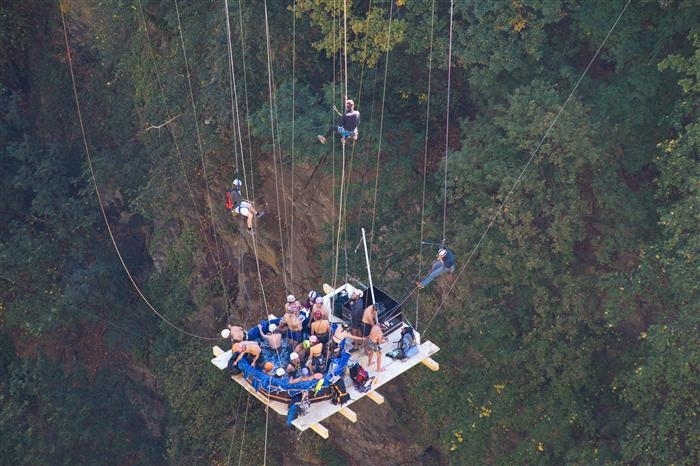 A group of thrill-seeking spa fanatics, called jacuzzi.ch have made the most dangerously dangling spa in the world. 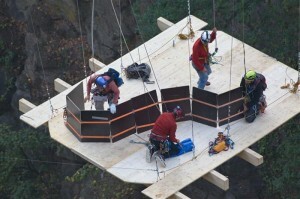 It was built from plywood panels and a vinyl liner, and fixed to a wooden platform suspended 150 metres above the Trient Gorge in Switzerland. 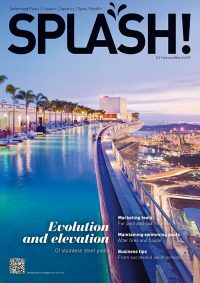 Water was heated in a second spa, then piped down to the dangling hot tub. 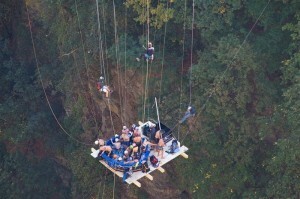 The abseiling thrill-junkies then lowered themselves through the cool Swiss air to land in the warm water and enjoy a breathtaking soak, dangling in open space. And why did they do it? (They can’t say “because it was there” because it wasn’t until they put it there.) It’s just for a love of soaking in beautiful warm water. 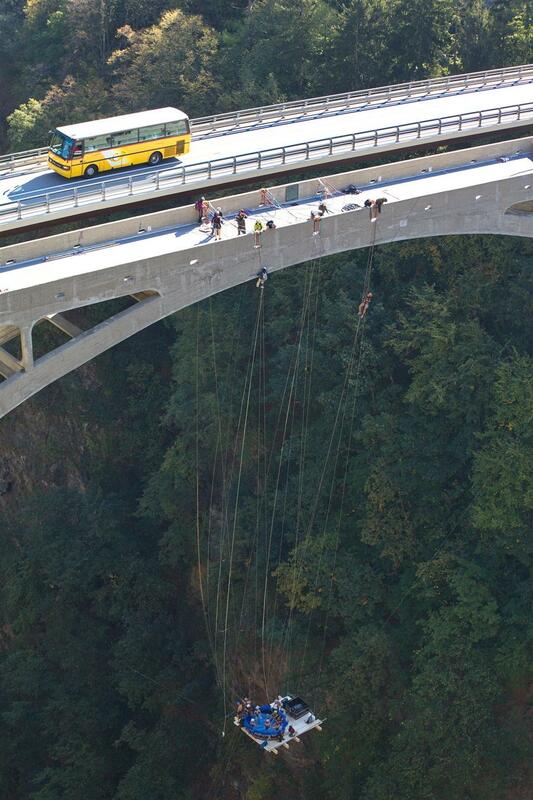 The 25 abseiling spa lovers spent 2500 hours planning the mission, six hours assembling the hot tub and two and half hours enjoying the warm soak hanging from the New Gueuroz Bridge in Switzerland. 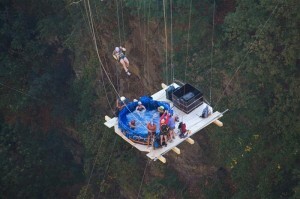 The group had organised “extreme Jacuzzis” for ten years. In 2007 they put together a spa on the top of Mont Blanc, carrying all the making up the 4500 metre peak by foot and rope. They melted snow and heated it to enjoy the spa on top of Europe’s tallest peak. 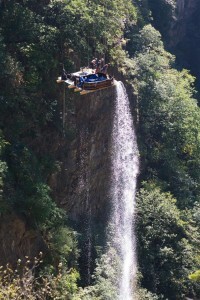 For more information go to www.jaccuzzi.ch. All photos courtesy of jacuzzi.ch.